Had a wee search first in other threads, a couple of mentions of Renfrew Airport, but i don't see any threads. Moorpark Aerodrome was formed in 1914 by the RFC - Royal Flying Corps who were the forerunners of the RAF. Moorpark Aerodrome was primarily used as a proving ground for the many Glasgow manufactured aircraft including those by Weir's. In 1934 the Scottish Flying Club established a new clubhouse within which was Renfrew Airport Terminal. This was taken over by the Air Ministry and RAF prior to the beginning of WWII and was suitably extended for their wartime purposes. 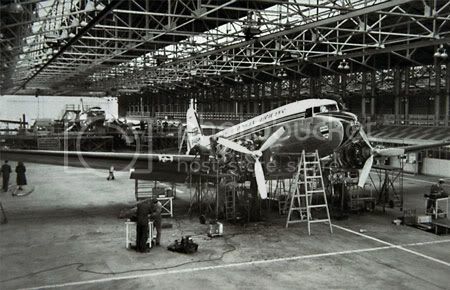 At the conclusion of WWII, the RAF still had from time to time a Squadron based there, but essentially the buildings and infrastructure which were extended during the war were taken over for peace time passenger air travel. 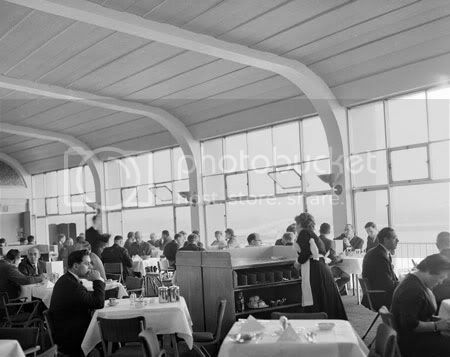 The Airport was largely rebuilt in 1954 in a different site from the RAF and Flying Club buidings which had served as the Airport Terminal since the end of WWII. The Architect of the very contemporary 1954 buildings was William Kininmonth. 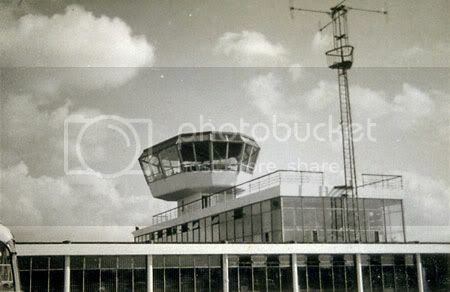 Renfrew Airport, although rebuilt in 1954 was closed in 1966, upon Abbotsinch (Glasgow) Airport opening. Anyone familiar with the Moorpark Area, are there any remnants of this Airport? A bit of Asphalt? Last edited by Socceroo on Tue Jan 24, 2006 1:57 am, edited 3 times in total. My dad used to take us there on a Sunday to see the planes. Most exciting was when Icelandair came in because that was international. They had a viewing area right in front of the terminal so you were very close to the planes. I flew out of Renfrew several times but mostly as a baby. the only time I remember was when I went to visit my Gran in Manchester. We flew in a Vickers Vanguard. 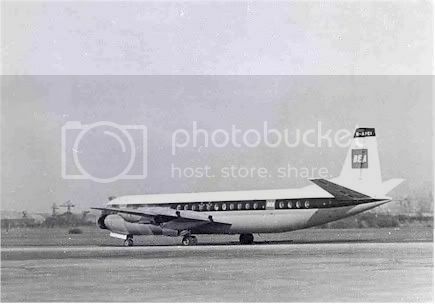 Thanks for your recollections Roxburgh, here is a photo of Vickers Vanguard coming into land at Renfrew Airport with Shipyard cranes on the Clydeside in the background. Thanks for the recollections radar, here's a few photo's of the Aircraft types that you flew in. 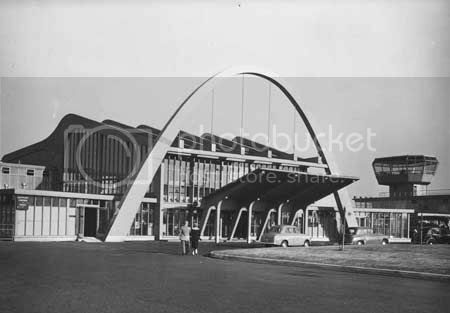 Perhaps the new terminal planned at Glasgow Airport could be modeled on this one. It was a very nice building indeed! It certainly was Vlad, the Architect William Moninmouth was a sidekick of Basil Spence for years. The above photo is of the BAA commissioned model of Renfrew Airport. Amazing design for 1954 eh. some imges of this cosy wee airport. we have any old buildings left! It is a wonder we did not flatten the Beresford or Kelvin Court. 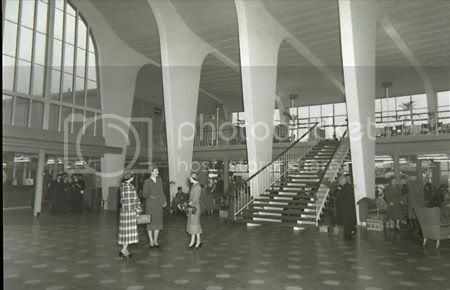 Pictures of the old airport still take me by surprise today, as it's so different from today's offering. Designers of the time seemed to be able to combine sweeping curves with straight lines in way that prevented them from clashing, and looking as if they belonged together. Many of today's buildings all seem to look as if they came out of the same computer-aided design and manufacturing package, no matter how innovatively the designer tries to screw the pieces together. Back in those days, when they custom manufactured something, they really did. Now, custom manufacture seems to mean little more than tweaking the edges of existing mass-produced building blocks, and pretending they're vastly different from the last batch. Theres a lot more than you'd imagine. That builting looked fantastic. Has anyone got the story of what happened regarding its closure? and is there anything still left? 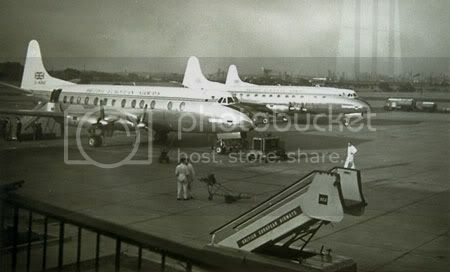 I had a wee look at the link Bex, i did not get as far as any old Renfrew Pics i was too busy looking at the accident / incident stats at Glasgow Airport. That's a lot of nearly's for 18 months or so. The link is excellent folks, well worth having a wee look at. You might not want to fly ever again, but it is well worth having a look at.